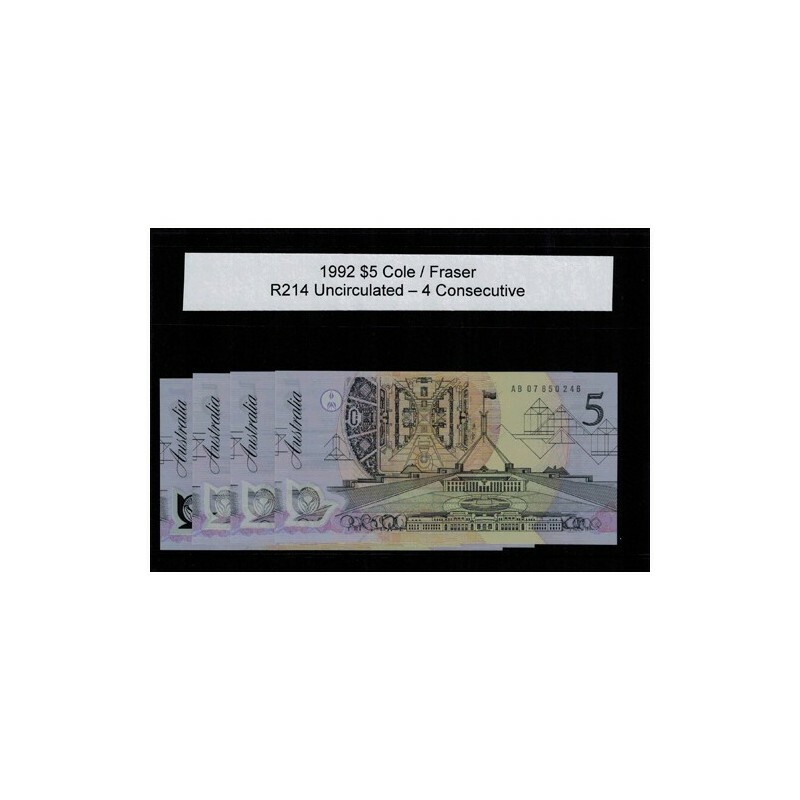 In Uncirculated condition with Cole / Fraser Signature combination polymer banknote. Virtually never seen in change. Run of 4 Consecutive Numbers.